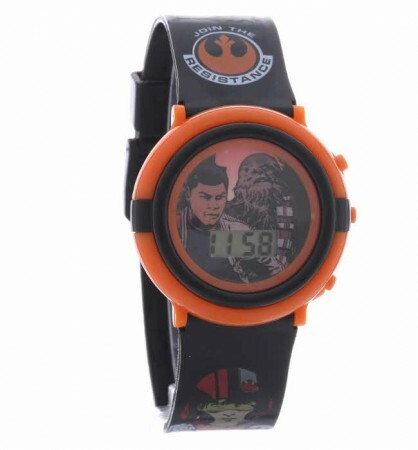 Stand out with this Star Wars themed digital watch. 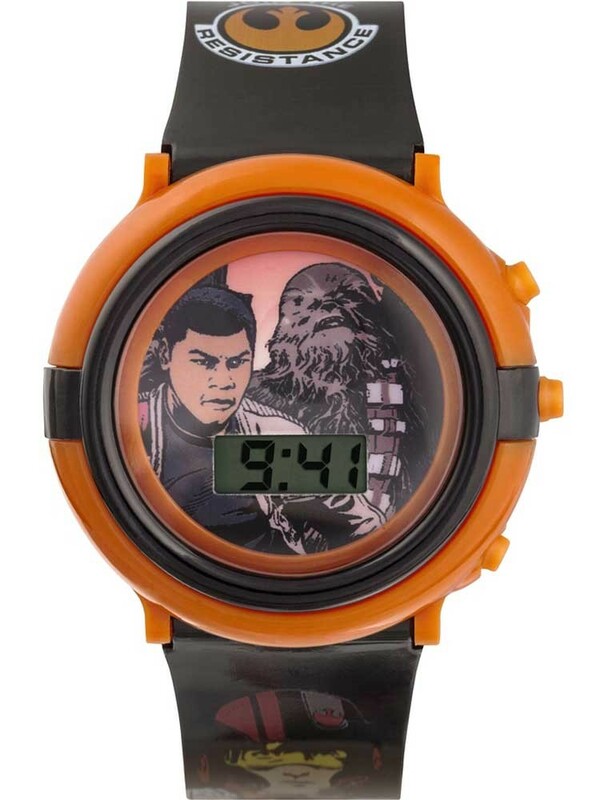 The Chewbacca and Finn feature watch is from a galaxy far far away where the time is displayed digitally and encircled by orange flashing lights. The outer ring of the watch is made from a strong plastic and is also orange in colour. 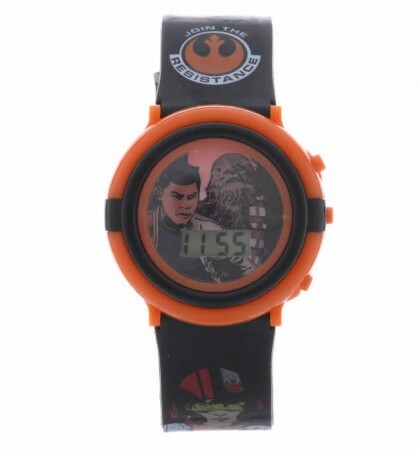 The outer ring contrasts well with the face image and the black plastic themed plastic strap.